Most of us are aware of the most popular beauty sins, right? Sleeping with your makeup on, not blending your contour properly, and shampooing too often are all major no-no's! But what if we told you that some of the most common, seemingly harmless beauty practices might actually be making you look worse? And you might be guilty of doing it, too! Here are some beauty blunders that you may think are enhancing your good looks, but are actually deteriorating it. When it comes to face masks, some of us love to bend the rules. "Leave the mask on for just 15 minutes? Nah! I think I'd rather go for a full hour," we say after reading the directions. Though you might think you're giving your mask some extra time to work its magic, you're mistaken. Facialist Sharon McGlinchey told Allure that you should rinse the mask off before it begins to dry and tighten. I know, I know - that's the fun part! Who doesn't love that moment when it feels as though your skin wants to jump out of your face? But if you keep it on for too long, the most noticeable effect you get will be dry, irritated skin. When you have acne, you'd do anything to make it go away once and for all! You whip out the harsh facial scrubs, mechanical exfoliators, and acidic face washes. And there you are, over-cleansing and believing you're attacking the acne head on. But little do you know that you're doing more harm to your skin than good. 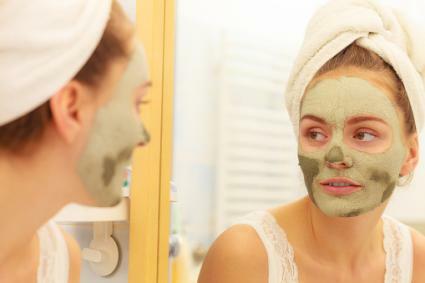 According to Dr. Elizabeth VanderVeer, by scrubbing your face too aggressively, acne sufferers are actually inviting more blemishes onto their skin because they're stripping their face of its natural oils. Over-exfoliation can also aggravate rosacea and speed up the aging process. Yikes! Don't make the mistake of choosing a concealer that's two shades lighter than your skin tone. While this may be a good trick for highlighting areas on your face when contouring, it's useless for trying to get rid of dark circles. You'll still look fatigued. To conceal dark circles, you'll need to determine their tint first. Once you've discovered this, you should get a concealer that contains that tint's complementary color. 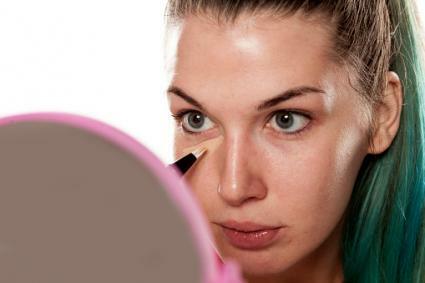 This will help cancel out your dark circles. For instance, Hoffman suggests using a concealer with orange tones if your dark circles have a bluish tint. For those no-time-to-shower moments, dry shampoo is the best thing since sliced bread. Just a little spray here and there and voilá! Your greasy hair is all gone! But the problem is that many of us are tempted to spray this stuff too close to the scalp. This ends up being counterproductive because what you're actually left with is flaky, dull, chalky hair. So much for looking clean, huh? Instead, spritz your dry shampoo at least 10 inches away from the roots to walk out the door looking fresh and flawless. Another word of caution when it comes to dry shampoo: use too much of it and you can get clogged pores and sore patches, according to celebrity hairdresser Lee Stafford. Ouch! But as long as you aren't over-reliant on dry shampoo and use it in moderation, you should be fine. You shouldn't believe everything they tell you, including the myth that eye cream can help diminish the bags under your eyes. 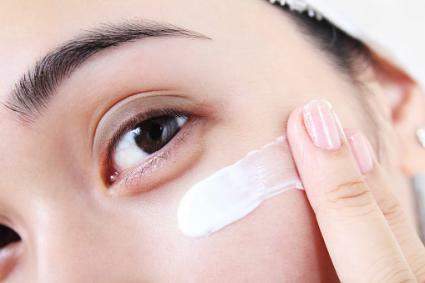 Eye cream actually increases puffiness because of its hydrating ingredients, which absorbs water into the skin, according to laser and cosmetology director Heidi Waldorf. Go the old-fashioned route and grab some cucumber slices, soaked tea bags, or cold eye compresses. The cool sensation will constrict the blood vessels and reduce swelling. But the most offending blunder of all is to rely on topical formulas to achieve perfection when in actuality, beauty flourishes from the inside. Drinking water, eating fruits and vegetables, and maintaining a disciplined exercise regimen can all aid in rejuvenating yourself into a more radiant being.